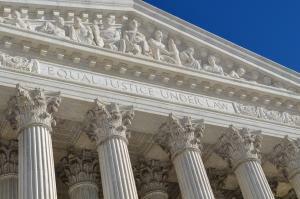 A recent Supreme Court ruling provides potential tax savings for railroad employees. Wisconsin Central Ltd. v. United States holds that stock-based compensation provided to railroad employees is exempt from federal employment taxes. According to the 5-4 ruling, for employees of railroad companies such as Union Pacific and BNSF, stock option income is not considered money remuneration under the Railroad Retirement Act (RRTA) and, therefore, not subject to payroll taxes. Equifax Data Breach – What Do I Need to Do? What is Annuitization? What is an Immediate Annuity? © 2010-2019 Callahan Financial Planning Company, a fee-only SEC-registered investment advisor. A registered investment advisor has a fiduciary relationship with its clients to ensure advice and recommendations place a client's interests first. Client assets are held at an independent brokerage selected by the client and investment advisor. See these disclosures for additional important information. Callahan Financial Planning Company is not compensated to make recommendations by any other financial institution.